Climb your way to the top of the Slots Tournament prize leaderboard this weekend to spin a big cash bonus into your lucky pants! You could win a share of £1,500! 4. See your prize - log in on Tuesday 23rd May to see if you've won. Enjoy top slots this weekend for you chance to win a share of over £1,500 - take part now! The Slots Tournament runs from Friday 19th to Monday 22nd May. 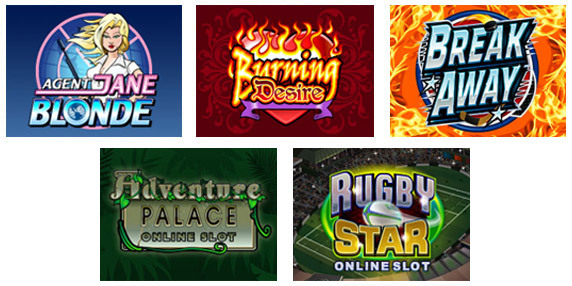 Players need to wager a minimum of £20 on the following Microgaming games: Agent Jane Blonde, Burning Desire, Break Away, Adventure Place and Rugby Star. Every £20 wagered earns 1 point. Prizes will be credited on Tuesday 23rd May.